Features:The warmth & ambiance of a classic fire, without the mess of ashes Handcrafted.. The Original Uwharrie Chair was created to offer not only eco-friendly all-weather seating, but clas.. 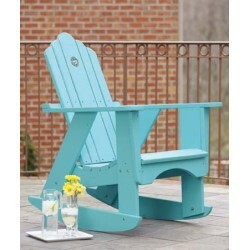 The Portside Classic Rocking Chair is the perfect rocker for a porch or indoor area. Comfort and sty.. 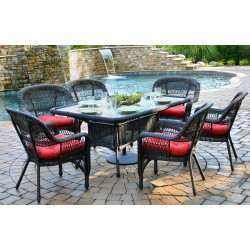 The Portside 5-Piece Dining Set is an attractive and comfortable outdoor dining group. All-weather w.. 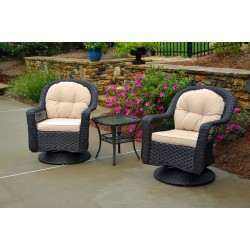 This elegantly reserved bistro set features two hand woven swivel gliders in all-weather wicker. The.. 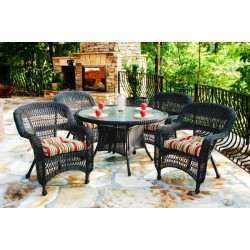 The Portside 4-Piece Seating Set is an attractive and comfortable outdoor seating group. All-weather.. Imagine the soft, sumptuous, 6" cushions enveloping you on a warm summer night. 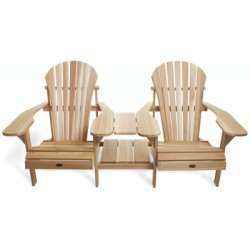 Striking, varyi..
Twin Athena chairs with large comfy deep seat, huge arm paddles, extra shoulder room, additiona.. 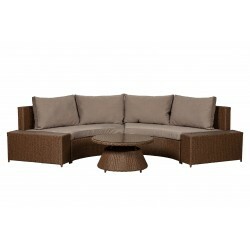 Simple, affordable and beautiful, our Fairmont Pub Set is designed for ultra-comfortable outdoor din.. 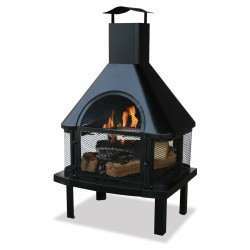 Assembled Dimensions: 11.40" L x 11.40" W x 22.50" H. Ambient lighting ideal for your..
FeaturesBlack Finish 360o Warmth & View Large Chimney Helps Control Smokey Slide-Ou.. This ultra-realistic rock texturing of this fountain makes this freestanding water feature look am..
Webster Wicker Sectional SetThe Webster Sectional brings an instant conversation pit to your o..
Teagarden Wicker Sectional SetThe Teagarden Wicker Sectional Set in an attractive mocha finish.. 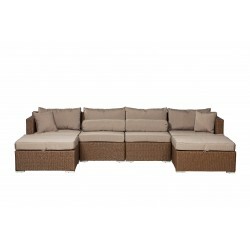 Complete your outdoor living space with The Sea Pines 5pc. 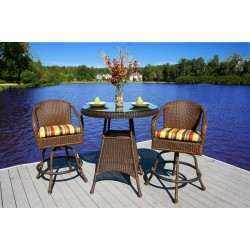 Outdoor Dining Set. This set feature.. 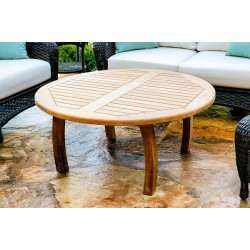 The Marquesas outdoor dining collection from Tortuga Outdoor features handmade Travertine tile table.. 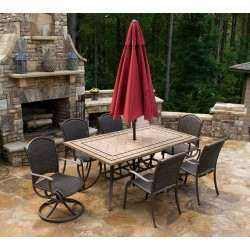 The Portside 7-Piece Dining Set is an attractive and comfortable outdoor dining group. 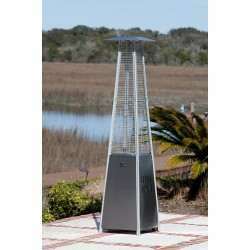 All-weather w..
Our patented Stainless Steel Pyramid Flame Heater brings a new dimension to outdoor heating. This st.. Rapid Induction Heat system increases the airflow by over 50%. This allowed us to create a combustio.. 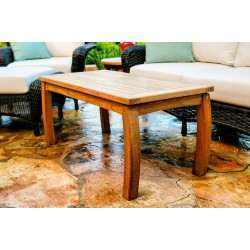 The Sea Pines Coffee Table is a beautiful resin wicker and tempered glass table that adds finis..
Teak wood is known around the world as the premier hardwood. These tropical trees create the perfect.. 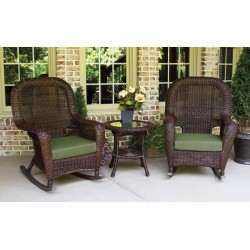 The Sea Pines 3-Piece Wicker Rocking Chair set is a great addition to any front porch or verand.. 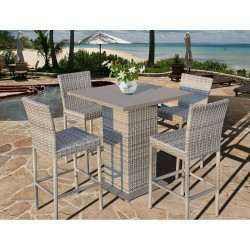 The Sea Pines 3-piece Bar set is a gorgeous set that features our popular all-weather materials..
Jakarta Traditional Coffe Table 20x40"
Assembled Dimensions: 4.72" L x 4.72" W x 7.87" HA robust blue glass solar lanter.. 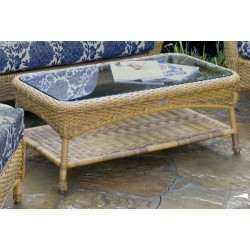 Assembled Dimensions: 4.72" x 4.72" x 7.87" A robust clear glass solar lante.. Assembled Dimensions: 4.1" L x 4.1" W x 4.5" HOur lightweight quatrefoil solar la.. 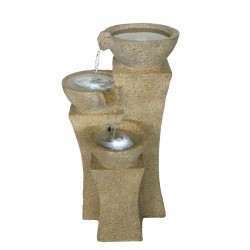 Assembled Dimensions: 6.7" L x 6.7" W x 9.84" HSet the outdoor scene of your drea.. Assembled Dimensions: 4.10" Diameter x 4.50" HighDecorative lighting ideal for your.. Solar Light String - Curvet Silver 20 ct. Assembled Dimensions:1.5" L x 2.0" W x 0.5" HA minimalist topper for our string l.. Solar Light String Curvet Asst Color 20 ct. Assembled Dimensions:Topper: 1.5" W x 2.0" HTotal Length: 177"A minimalis.. Assembled Dimensions: 9.6" L x 5.3" W x 7.3" HThis beautifully constructed bird a.. Solar Light String Carnivale 20 ct.
Total Length: 177" A classic topper for our string lights, the Carnivale brings an ele.. Assembled Dimensions: 5.71" L x 5.31" W x 11.02" HModern perfection. This white a.. 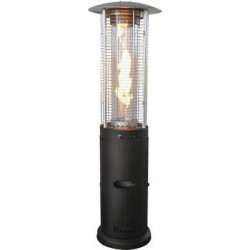 Assembled Dimensions: 6.1" L x 7.48" W x 16.14" HOur Revere lantern is tall, dark.. Assembled Dimensions: 5.71" L x 5.31" W x 11.02" HThe perfect burst of color.&nbs.. Assembled Dimensions: 6.7" L x 6.5" W x 11.81" HThe Eva LED Candle Lantern melds .. Assembled Dimensions: 7.48" L x 7.25" W x 11.81" HThe Charles LED Candle Lantern .. The Panama Candle Lantern is a beautiful antique black 8 inch tall lantern. It includes an amber LED.. 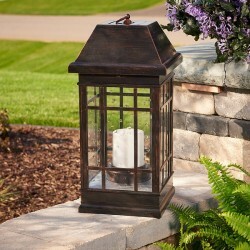 Assembled Dimensions: 8.6" L/W x 15" H The Newport Candle Lantern is a natu.. Create an Outdoor Sanctuary for Fabulous Outdoor Living! 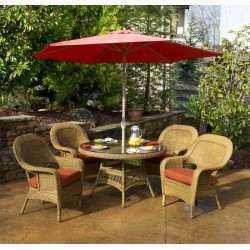 Outdoor Furniture and Garden offers everything you’ll need to create a beautiful and peaceful outdoor living space that will be a favorite gathering place for family, neighbors and friends. 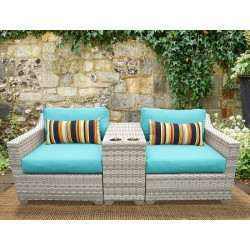 The outdoor furniture collection is filled with luxury furniture pieces and dining sets that will enhance the patio or garden area of your home. We’ve made it easy to create a comfortable space by separating our pieces into to individual collections. Looking for seating by the pool? 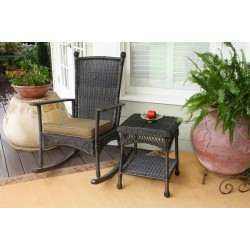 We think you’ll enjoy browsing through our seating collection for cozy and stylish outdoor sets. Or for the ultimate in comfort, shop out selection of hammocks – any choice a great place for an afternoon nap! Our outdoor living collection is filled with all of the essential accessories needed for creating a trendy and stylish space. Add a colorful rug to the porch or patio floor for texture and warmth, and a few pillows and cushions for additional support and style. 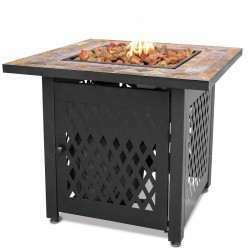 And for cooler evenings, we offer a tremendous collection of fire pits and heaters to keep everyone toasty warm. 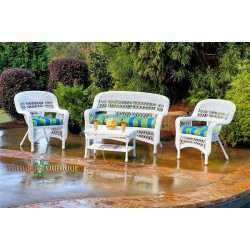 If you enjoy preapring your meals and dining outdoors, Outdoor Furniture and Garden also offers a fabulous selection of grills and outdoor cooking essentials. Choose your favorite propane or charcoal grill and create a delicious meal for the gang. And let’s not forget trendy outdoor lighting to add ambience and a decorative touch to the patio, and garden. Solar lighting is powered by the sun, making it ideal for areas of the yard without power sources. We also invite you to browse through our collection of gardening and décor for additional decorative accessories to add throughout your outdoor living space. Any one of our outdoor fountains will add a tranquil and peaceful aspect to the space, and a selection from our lantern collection can add a charm and rustic appeal to the table or help light the way. We’d love to help you create the perfect outdoor living space for your family and home. Come on in and shop with us today!